After a few hours rest in Pierre, SD, today looked like a potential upslope day in Colorado. I am, admittedly, unfamiliar with the nuances of upslope and my previous attempt at this last year resulted in a blue sky bust. But, I decided to give it a go and began the drive south. Shortly after arriving in Colorado, weak storms started to fire along the front range and I continued south to try and get on one of these storms. As I approached the first one, it started to fall apart on radar, while some nicer looking cells were showing up further south. 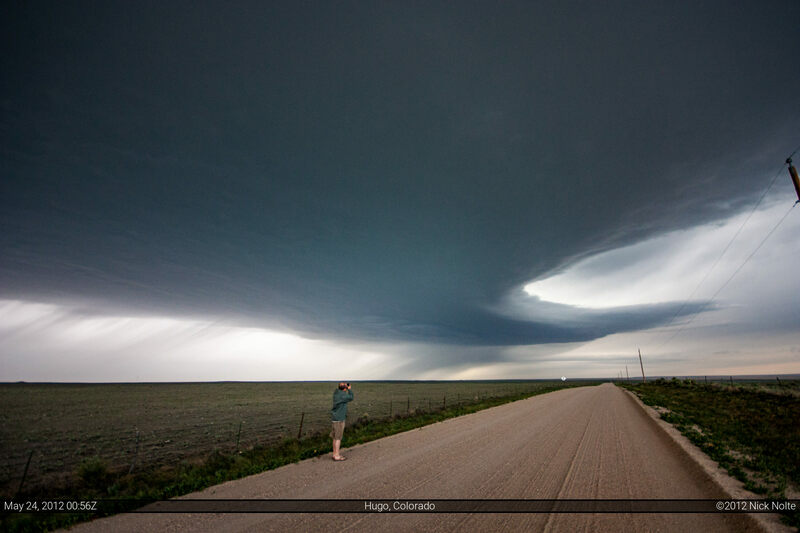 I eventually got on a storm between Hugo and Eads, but it didn’t last long as it was dying as well. Further west and south, better cells were popping up on radar. 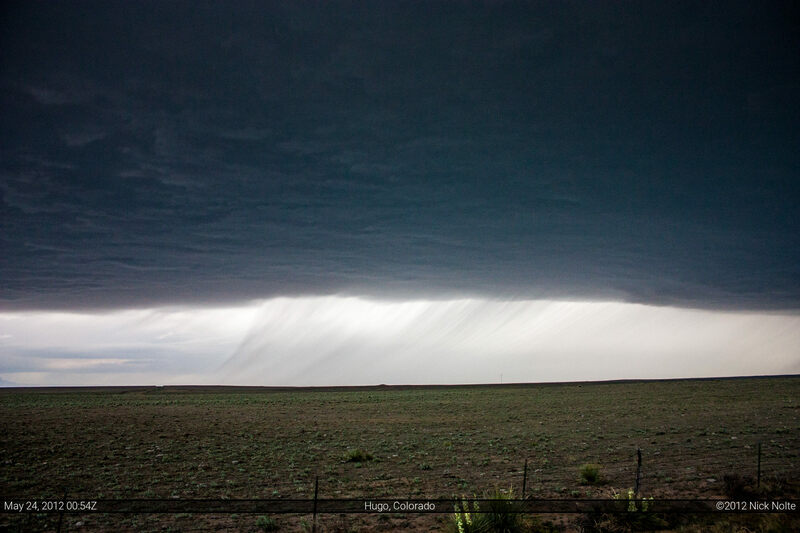 On my way to them, I ran into Brad Goddard again and took some photos of the storm that was nearby. After a bit, we decided this storm was dying as well and an interesting bell shaped feature caught our eyes to the southwest. 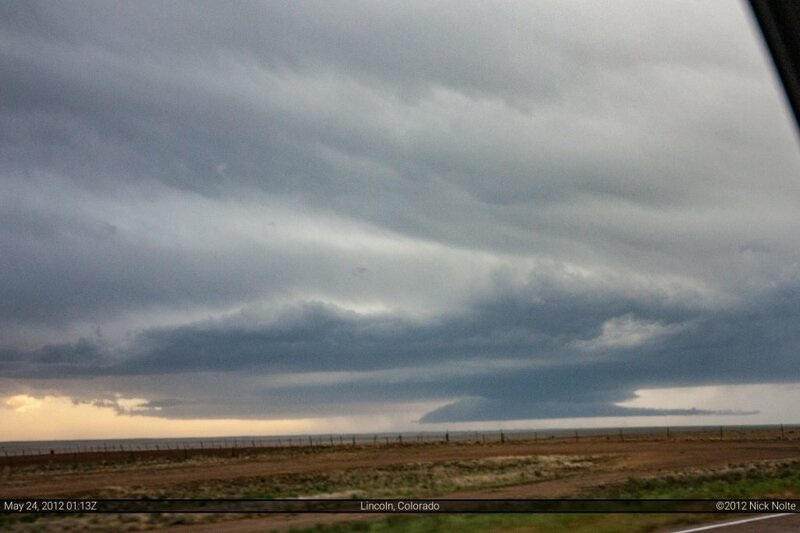 It appeared to be a huge wall cloud, so we checked radar and confirmed that it was about 50 miles away. We set out to check it out and as we approached it became clearer that it was, indeed, a wall cloud, it just looked strange, initially from a distance. We did our best to get into position near this feature and eventually it started to tighten up midway between Ordway and Hugo. 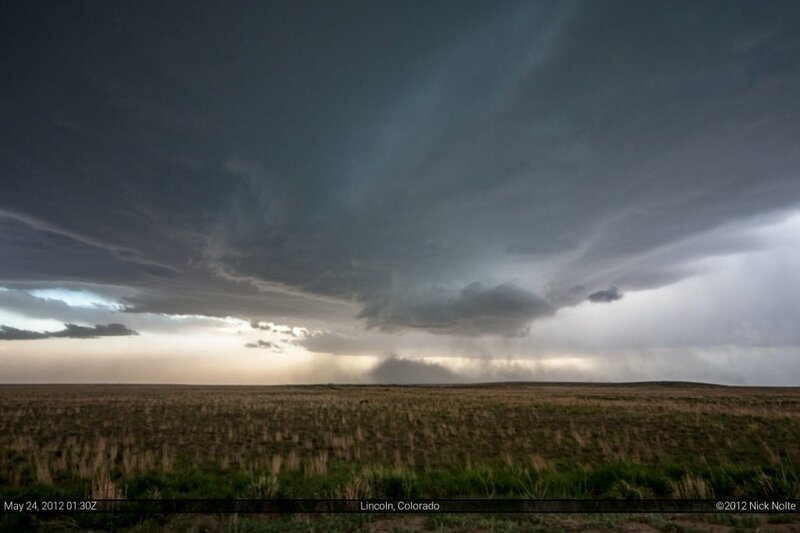 It started to kick up dust directly beneath, what was at the time a very compact wall cloud. We figured this was some kind of gust front surge, RFD or maybe some kind of downburst. We continued on to see if this storm would do anything, and we eventually got into the core where there was some really soft 1″ hail, almost like mini snowballs as they hit the windshield like balls of slush. Eventually, darkness set in, and north of La Junta we went our separate ways. I headed into Kansas to prepare for the following day. A moderate risk was setting up in Wisconsin, but I wasn’t going to drive that far and decided I play the KS/MO area. I ended up in Pratt for the night.